This medium gauge Fender guitar pick has been turned into a holiday decoration. 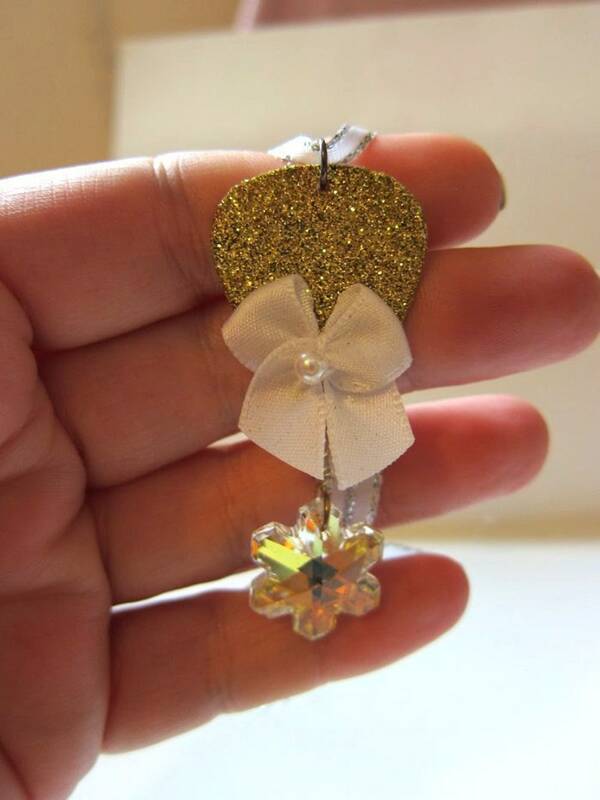 The front side of the pick is covered with gold glitter and adorned with a white bow. There is a Swarovski Crystal in the shape of a snowflake hanging from the bottom. The back of the pick is also covered with gold glitter. 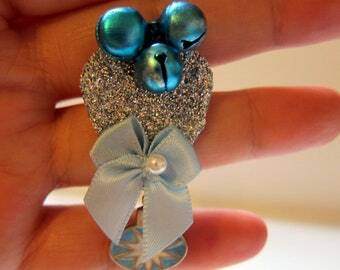 The pick hangs from a white ribbon tied into a bow. This pick is hand made and there is only one like it. Once it is gone there will not be another like it made. Just remember you saw these adorable decorated guitar picks on Twisted Picks first! No one else on the web is doing them like we do! The ornament comes in a white gift box ready to be wrapped. Get that perfect gift for the music lover in your life.